PeteFormation Foodie Adventure: My Purple Penang Leng Chee Kang Recipe – aka Avatar Navi Dessert! 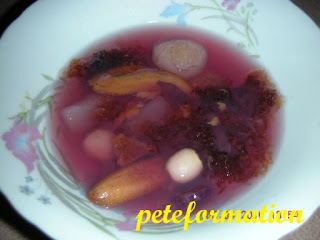 My Purple Penang Leng Chee Kang Recipe – aka Avatar Navi Dessert! With the H1N1 infection cases on the rise again, it would be a good idea to take some cooling drinks. 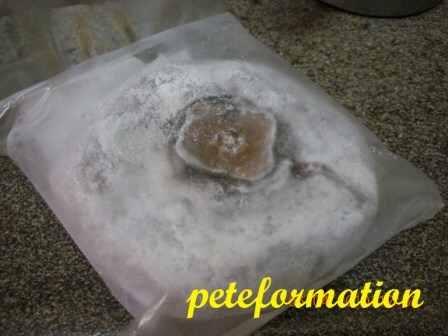 I bought two pieces of dried persimmons from Giant the other day and thought that it would be a good idea to cook the Penang famous Leng Chee Kang Dessert with it. Most of the Leng Chee Kang stalls in Penang would add dried persimmon slices and Pong Tai Hai (in Hokkien dialect, scientific name Scaphium Spp, Malay Name Kembang Semangkuk) in it. I can’t find good leng chee kang in KL that are served with these two ingredients. Kembang Semangkok is known for its’ cooling effect on the body.....but guys, if you and your wife are trying for a baby, better don’t eat too much of it because it might not be good for the reproductive system. Anyway, I boiled the Leng Chee Kang dessert a little too long and the colour from the purple sweet potatoes turns it into purplish blue, just like the colour of my favorite Avatar, Navi folks! LOL! Ingredients Dried Lotus Seeds (Lian Chi), 10 pcs Barley, 2 table spoons Pong Tai Hai, 6 pcs, soak in water, remove skins, seed and hard fibres (see Pong Tai Hai Dessert on how to prepare it for cooking) Dried persimmon, 1 pc, cut into slices Agar-Agar (jelly) (optional), ½ cup cut into cubes Sweet potato, 1 pc, cut into cubes Longan, 20 pcs Preserved winter melons (Tung Kwa), 10 pcs Rock sugar to taste Put around 7 rice bowls of water in pot and bring to a boil. Add in the barley and boil until the barley grain turns soft. 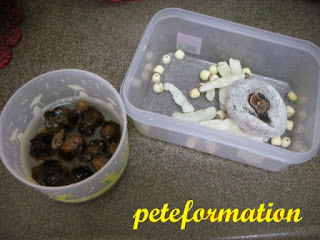 Add in the dried lotus seed, rock sugar and longan. Continue boiling until the lotus seeds become soft. Put in the sweet potato, agar-agar, preserved winter melons (Tung Kwa) and pong tai hai. Boil for a short while so that these ingredients do not turn soggy. Turn off the heat. Serve chilled! It's another new delicious dessert for me. Love the dried persimmons! oh, that Pang Tai Hai is not good for reproductive system?? smallkucing : Ya lor, need to drink more fluid! SK : The Chinese believe something that is too cooling can reduce the chance of producing good sperms...., LOL! Looks really refreshing. Good for hot weather. Like the nice purplish hue... reminds me of a dessert called "mat tou yau" (everything also got).. have you tried it? Oh this is new to me..sounds great..
purple yam is so delicious! 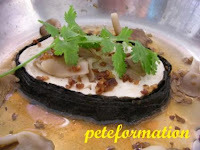 I'll definitely try this.Thank you Pete.Miss Penang's leng chee kang. Really ah? H1N1 is here.. need to drink more leng chi kang? ok ok.. go get some now..
wah..looks good, i love sweet potatoes.. btw, i tot no more H1N1 already.. or is the media keeping it low? 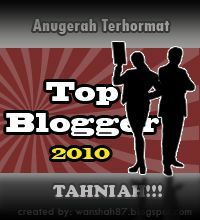 Hmmm...i wana give a try.. Reminds me of something. The other day I cooked sweet potatoes porridge for my son and it turned out purple. He refuse to eat. hahaha...frighten him gua. I like pong tai hai...nice to chew. Wow~! Your Leng Chee Kang looks delicious and thirst quenching too! I love Leng Chee Kang with agar agar, I think it's a must and it really "touch up" the drinks with its unique texture! This is one of my favourite dessert. My MIL cooks it when I have a craving but she cooks it without dried persimmon. I'm definitely going to try cooking it one day.